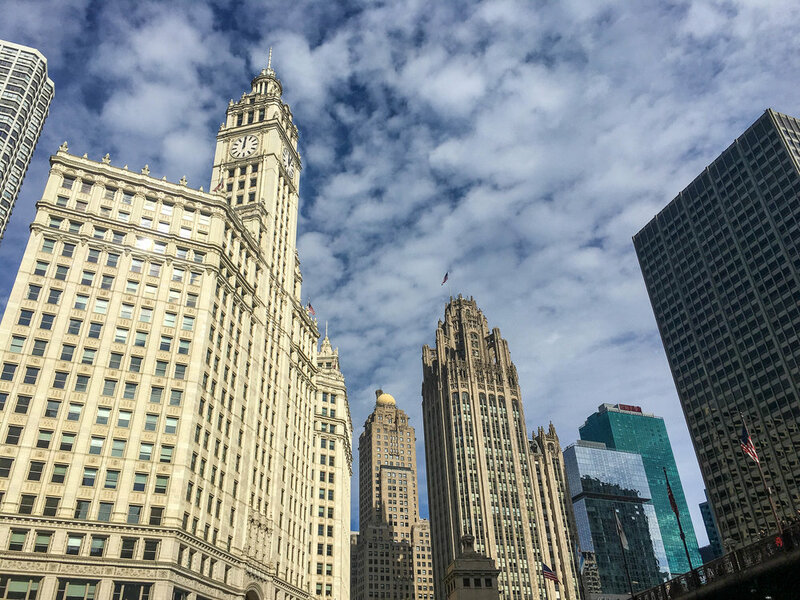 Last week I took my annual trip to FNCE, a national conference for dietitians, where tens of thousands of us gather for networking, learning about new food products, and the latest nutrition science. This year it was held in Chicago and since my aunt and cousin live there, I got to squeeze in some family time too! 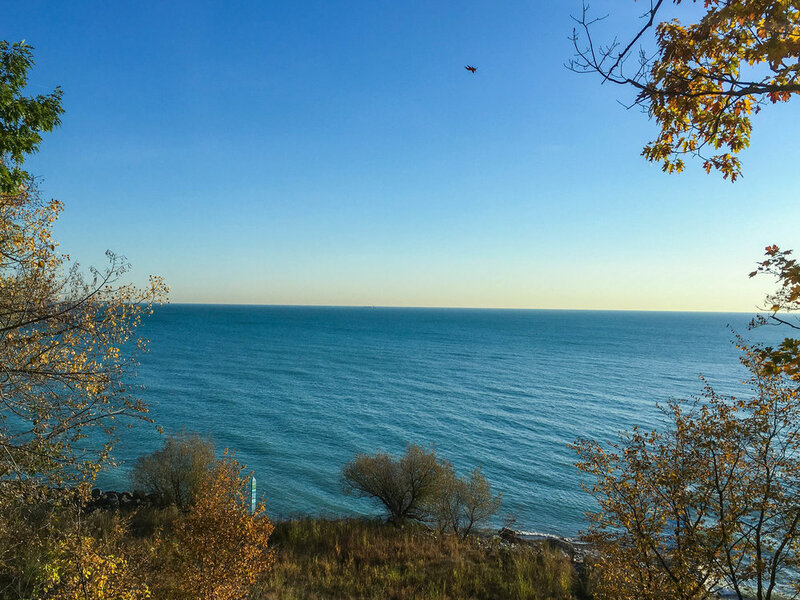 I spent the first few nights with my aunt, who lives in Fort Sheridan. I'm obsessed with her neighborhood, which is an old army fort originally built in the late 1800s that's been converted into a residential neighborhood. There's tons of gorgeous historic homes, it's on the shore of Lake Michigan, and the thees were changing colors, so it was the perfect place to start my day with a long run (stopping all along the way for pictures and to read the historical markers because 🤓). We grabbed breakfast at Once Upon a Bagel, because when I'm not in the south, hitting up a Jewish deli is mandatory. I love their egg bagels that look orange from the yolk. Smoked salmon omelette with everything bagel and chive cream cheese. 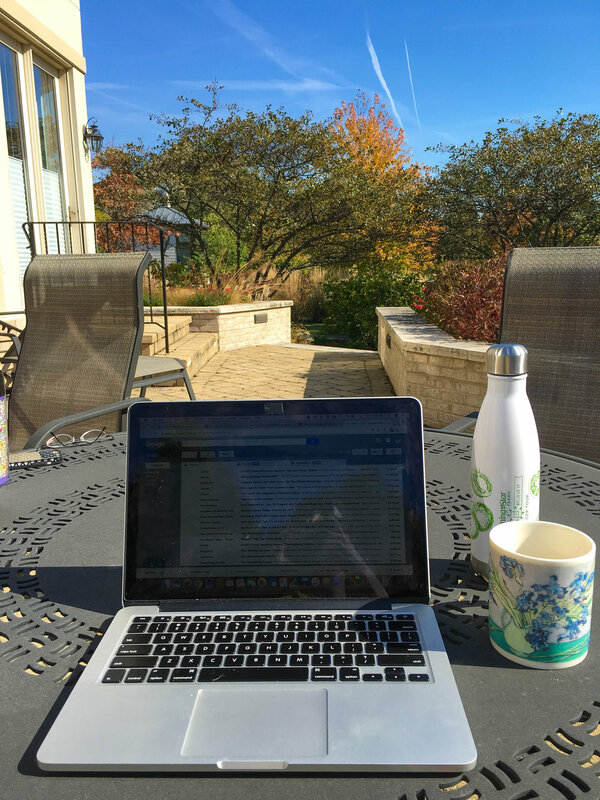 Spent the rest of the day getting some work done before the craziness that is FNCE began. The weather and the view was perfect, so my aunt and I hung out on the patio. I went to my first FNCE event that night, a party hosted by Janice Bissex of Janice Cooks. She's worked in nutrition communications and media for decades, so there were tons of media dietitians there, and many of my old friends from Blog Brulee. The next day I had a late morning open house with Kellogg's. The train got in about an hour before the event started, so I took a long stroll along the riverfront. Y'all, I love Chicago. At the Kellogg's event, I got to hear my friend Rebecca Scritchfield give a talk based on her book Body Kindness. If you're looking for some more intuitive eating inspiration, give it a read! I love how Kellogg's incorporated some of their "fun" foods into the party. Rebecca killed it! She's an amazing public speaker. For lunch, I met up with my old intern Casey at The Purple Pig. She attended FNCE for the first time this year doing a poster presentation and I am so insanely proud of her! We had the most incredible lunch, easily my favorite meal of the trip...although I guess my dish did involve lobster so it wasn't exactly level playing fields. Casey is pretty much the cutest. After lunch I met up with my RD squad (minus the preggo ones that had to skip out this year) - Meme, Kara, Robyn, and Alexis. We got a glass of rose and hung out by the riverfront. 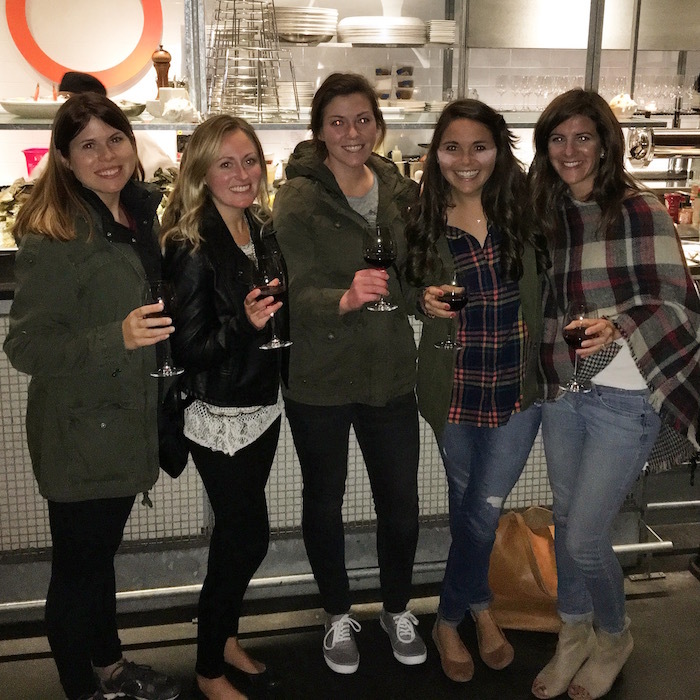 I know FNCE is supposed to be about learning and networking, but if I'm being honest, my favorite part is hanging out with my friends. I learn more from their genius entrepreneurial brains anyway. And seriously, is there anything better than a glass of cold rose with this view 👇 on a 75 degree fall day? Ran into some new RDs we knew from social media - instagram makes the world feel small sometimes. From there, I headed back to the expo for an opening night event with Unilever for the Agents of Change program I'm part of this year. I missed the trip to Stone Barns with them when I was in Japan earlier this year, so it was great to put faces to the names I'd been emailing with these past few months, and to hang out with my fellow agents. Meme, Alexis and I had a fabulous dinner in the West Loop in mind, but in our attempt to save a few $$$ on a Lyft, we got into the world's slowest shuttle and got stuck driving all over the city. Since I had to make my train back to Fort Sheridan, they were nice enough to come with me again to CH Distillery, where we scarfed down the world's best bacon cheeseburger (or maybe we were just really hungry) and this yummy parsley and celery cocktail - it was basically gin and green juice! 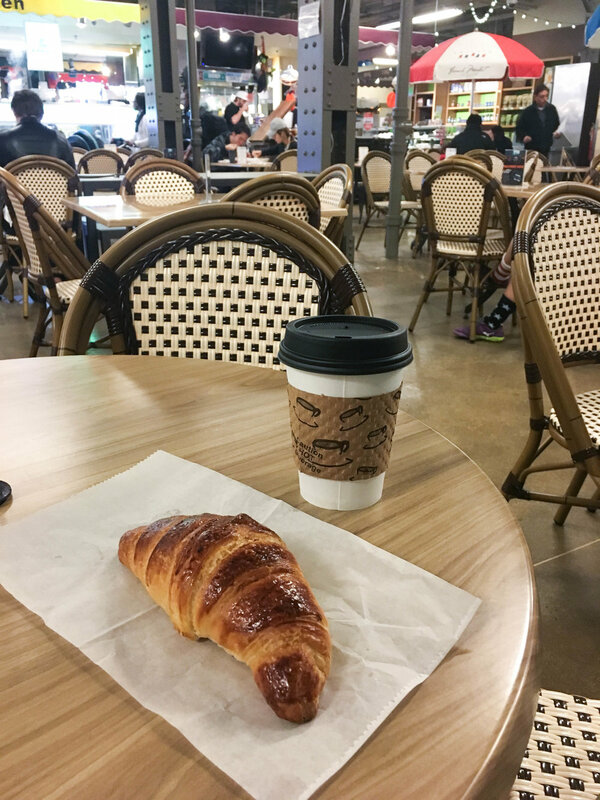 The next morning I had some time after taking the train in, so I enjoyed a leisurely breakfast while catching up on emails at The French Market, which is right near Ogilvie train station. There were tons of fun vendors there selling everything from chocolates to lobster rolls to banh mi's, but being the French market and all I obvi had to go with a classic. For lunch, I went to an event Alexis hosted with Simple Mills. I hadn't tried their products before because they only sell a couple of their products at the stores I shop at, but I am newly obsessed. After hitting up an education session about added sugars, I went to a networking event hosted by FoodMinds, a PR agency, at Joy District. I noshed on fried zucchini cheesy things and poke and chatted all things nutrition communications with the dietitians at the event. They held a really helpful roundtable about working with brands that got me feeling much more confident about reaching out to brands I want to work with. The next morning was basically one giant #FAIL. I woke up super early to head to a breakfast with the blueberry council, which I was really looking forward to because they were also doing a seminar on the MIND diet (a dietary pattern that promotes cognitive health, an area I'm really interested in). When I found out the Lyft was going to be $70 because of rush hour, I huffed it over to the train station in the rain and somehow made it to the convention center without getting lost (major win for a public transportation rookie!). I thought I was going to make it but just be 30 minutes late, but then I couldn't find the room number anywhere in my emails and the help desk had no clue where I should go. After wandering around the convention center, I gave up and went to meet up with my friends Kara, Kristina, and Jenna who were getting breakfast at the Marriott, but google maps GPS was wonky and kept putting me at the other side of the convention center, so I kept walking around in circles trying to find them! Finally I made it and got an extra-large coffee and a smoked salmon bagel for breakfast. Since I had a break in the day, I ran back to my cousins apartment for a shower and grabbed lunch at Urban Belly on my way back out. Y'all, I seriously want to go back and order everything on the menu. Coconut pho with crab rangoon dumplings - I want you in my belly. I settled on a lemongrass chicken rice bowl that came topped with tons of pickled veggies and a soft boiled egg.The Chinese eggplant was the best part! Back at the conference center, I went to a couple seminars. This year, there weren't too many that interested me this year, but the PCOS one I went to was really informative. Since I have a lot of clients diagnosed with PCOS, I've been thinking about writing a post on it. Any specific questions you'd like me to answer? Leave a comment or shoot me an email! Their example of the worst advice you could give someone with PCOS - AGREED! Afterwards, a group of us hit up a Ketchum PR event at their offices in downtown Chicago, then Kara, Meme, Cara, Julie, Kelly, Kim and I all went out to dinner at The Little Goat, the more casual version of The Girl and the Goat. I ordered the okonomiyaki, a savory Japanese pancake that I fell in love with when I went there earlier this year. It was filled with pork belly and cabbage and topped with bonito flakes, kewpie mayo, spicy sauce and a poached egg. Their version was pretty legit! Kara and I then hit up a session on eating disorder treatment and malnutrition which was really interesting. 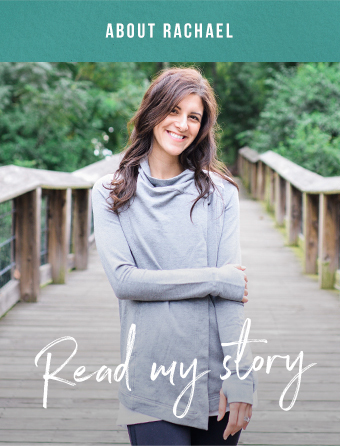 The case studies presented by the doctor were a bit overly specific and not really pertinent to my clients, but the dietitian did a really great job discussing digestion and malnutrition. Then I spent the rest of the day in the expo, where hundreds of food brands and commodity boards show off their products. It can get a bit overwhelming with people trying to snag free samples, but I like to go and make connections with brands, so I usually wait till Tuesday when it's a bit quieter so I can actually have conversations. 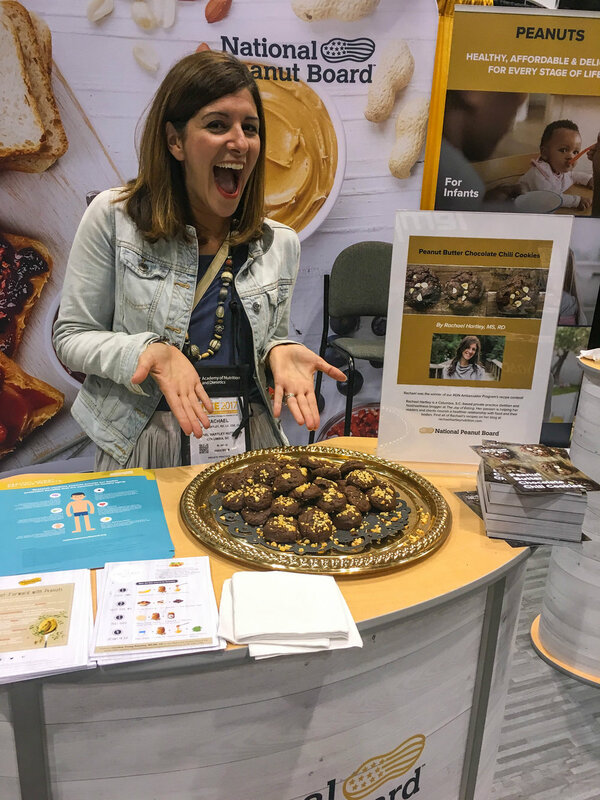 One of the highlights was seeing and tasting a recipe for chocolate chili peanut butter cookies I developed for the National Peanut Board being served! As the expo shut down, Kara, Meme and I headed over to The Spoke & Bird for lunch. 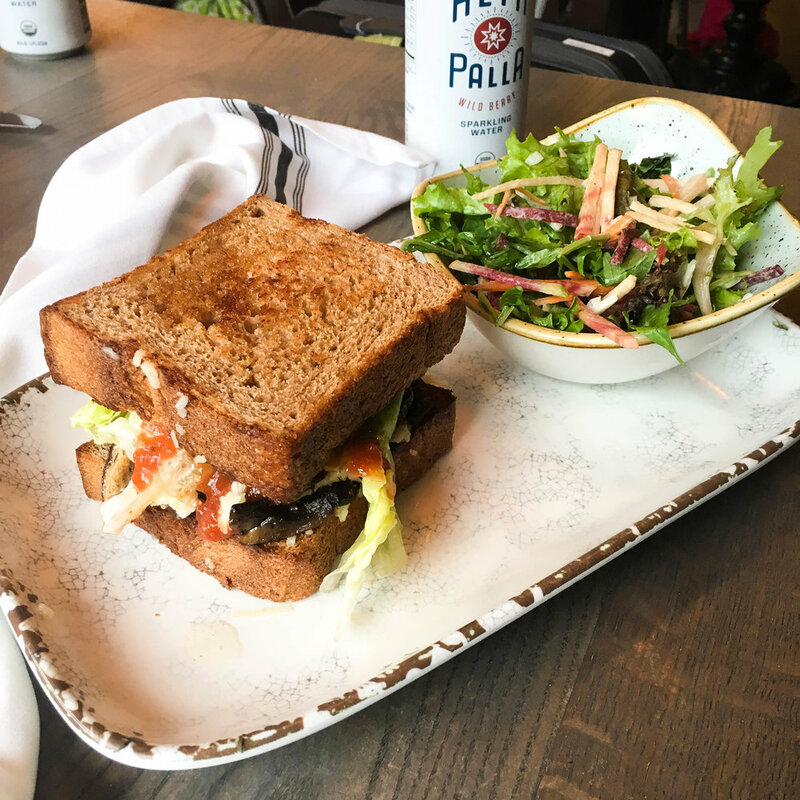 At that point we were at the stage of exhaustion where everything is hilarious - pretty sure we cry-laughed over Kara dropping a piece of bread on the floor 😂 I ordered a mushroom and jam sandwich (which I added some cheddar cheese to) and a crunchy root veggie salad with a GIANT thing of fizzy water. FNCE dehydration is real. I left this year feeling really excited about the future of my business. The past year has been amazing, but I've got some ideas brewing in my head about where I'd like to move things next. I always leave with tons of inspiration, but a feeling of overwhelm, so this is the first time that I feel like I have a really clear plan. Excited to share more as the year goes on!